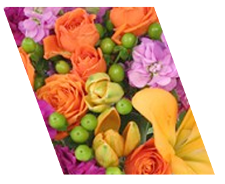 All of our custom gift items are available for same-day delivery, except our delicious gourmet strawberries. When placing an order for gourmet strawberries, please allow a 24 hour notice before delivery. Thank you! 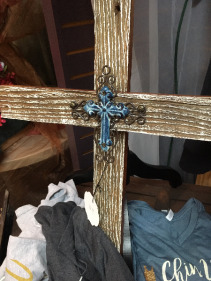 These crosses are hand crafted by Rosemary herself from 80 year old oak barnwood. The cross will be displayed or gifted according to the occassion. They are also equipped with a hanger on the back side. The cross shown is 2.5 ft. 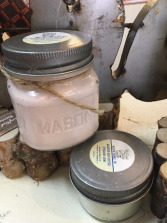 The $52.95 is 3.5 ft.
Nelson Farms is locally made, all natural goats milk product line, that is well known and saught after. The scents are assorted based on the season. These products will be gift wrapped according to the occassion.